On my part, all of this was a chance discovery while doing research on his mother, Madame Montour. Born Isabel Couc in New France (Canada) in 1667 to Pierre Couc, a Frenchman, and Marie Miteoamegoukoué of the Algonquin Nation, Madame Montour was exposed at an early age to Native American and European languages on what, at that time, was a very wild frontier. She had a gift for languages and became fluent in French, German, English, Iroquois and Algonquian and, as early as 1711, she was in demand as an interpreter and negotiator between Indians and settlers. She became invaluable to both the governors of New York and Pennsylvania. In 1727, she settled at the mouth of Loyalsock Creek near present day Montoursville, Pa. with her Iroquois husband, Carondowana, and her two children, Andrew and Margaret. It was there that she founded the village of Otstonwakin. The exact location of the village was a mystery until 2009 when Franklin & Marshall College anthropologist Mary Ann Levine discovered the site. Her archaeological excavation and subsequent lectures are what launched me on a study of the Montour's and that time period. In addition to Internet research and drawing on local sources, one book, in particular, became invaluable for insights not only into the history of the Montour family but the times in which they lived -- “Madame Montour and The Fur Trade” by Simone Vincens. Originally published in French as “Madame Montour et son temps” (1979), it was not translated into English until 2011. The author draws on archives from Quebec, Montreal, Ottawa and France to fill in the many gaps in the life of Madame Montour, and brings to life the collision and cultural complexities of contact between Native Americans and white settlers during the 17th and 18th centuries. 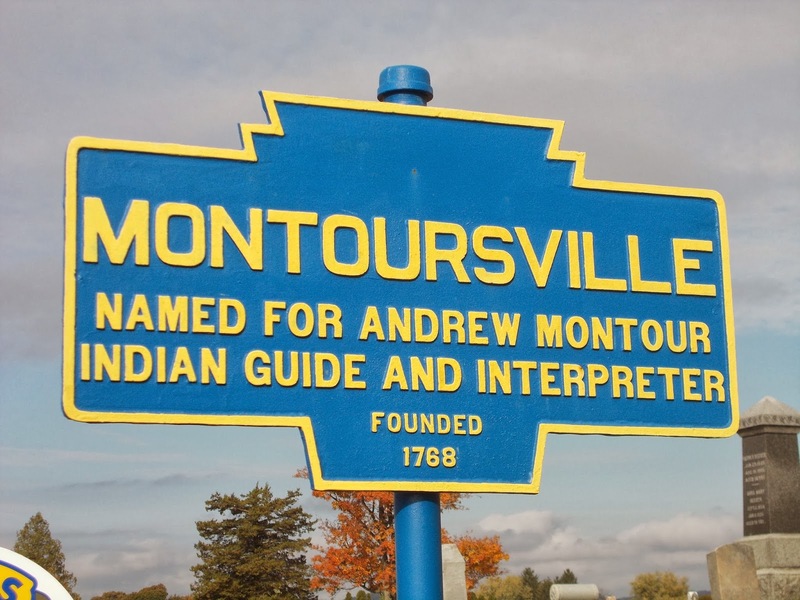 Andrew Montour inherited his mother's gift for languages and basically took over the family business of interpreting when Madame Montour lost much of her influence through age and the loss of her husband. Having heritage in both the Anglo and Indian worlds, he traveled back and forth across the frontier on mission after mission. He was a member of the Iroquois Grand Council and was employed by the governors of New York, Pennsylvania, and Virginia. His travels put him at all of the important Indian negotiations of that time period and in the presence of colonial figures such as Benjamin Franklin and George Washington. The above quote is well known locally and is contained in the “History of Lycoming County” by John F. Meginness. but what about the missing pieces of Andrew Montour 's life not well known in Lycoming County? 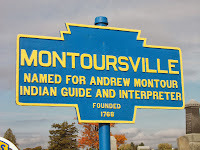 In “Madame Montour and The Fur Trade”, the author describes a land grant given to Andrew by the governor of Pennsylvania and a rough location on Sherman's Creek just below the Juniata River. Finding an intersecting creek called Montours Creek on my Howard Higbie Stream Map of Pennsylvania sent me off on a field trip to Perry County. Site visits and interviews with members of the Historical Society of Perry County affirmed the location of the land grant as being at the intersection of both creeks. They are confident enough of the location that they presently have an archaeological excavation planned to find the site of the Montour house. When the members also began to describe the life and mission of Andrew at that location I was more than surprised. When Andrew took up residence along Sherman's Creek he became the first official settler of Perry County and with the authority given to him by the governor of Pennsylvania on the as-yet-Indian- lands to kick white squatters off, he essentially became the first “sheriff”. 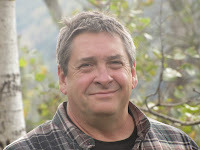 This also put him along the Allegheny Trail which was about to become the preferred route to western Pennsylvania and the Ohio Valley and Andrew was now positioned strategically to keep an eye on it all. Madame Montour accompanied Andrew to this new location and lived out her life there, providing hospitality to travelers as she had done at Otstonwakin. Andrew Montour was an important figure on the American frontier. His role cannot be diminished because of his mixed Native American and European blood. The fact that he had a foot in both worlds made him one of the colonial period's most complex, but effective, characters. Andrew was an interpreter, negotiator, spokesman and warrior. If it were not for his courage at a very crucial and dangerous time, the history of an entire continent might be very different. The fact that he was given multiple tracts of land across Pennsylvania for his services is proof of his worth to his contemporaries and one of those tracts would eventually become Montoursville. 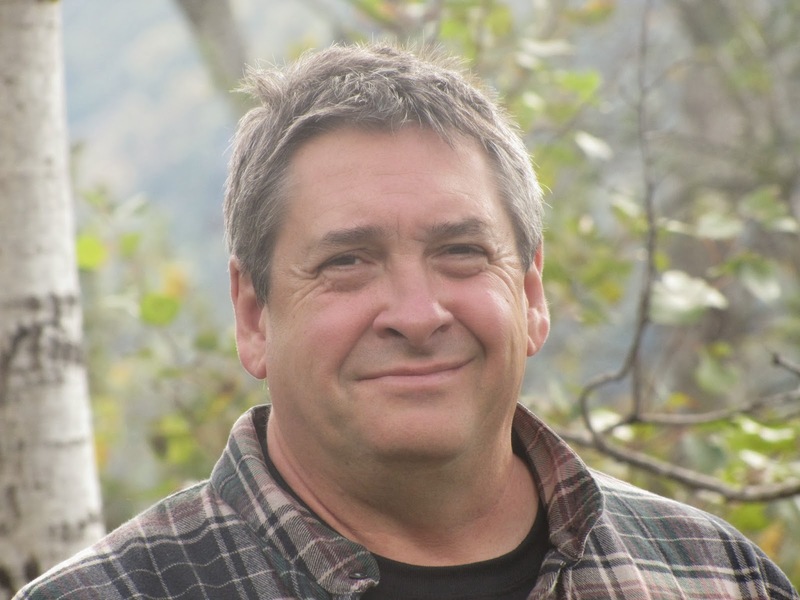 - Tank Baird is the president of Northcentral PA Chapter 8, Society for Pennsylvania Archaeology.